Details: Gable front roof, raised entry porch with round pillars and hip roof and picket handrails. wood siding and corner boards. original single has no windows. Significance: Vernacular cottage significant for its integrity and refined small-scale detailing; original narrow clapboarding is intact as is the small front entrance porch topped with a hipped roof supported by round tapered Doric columns. 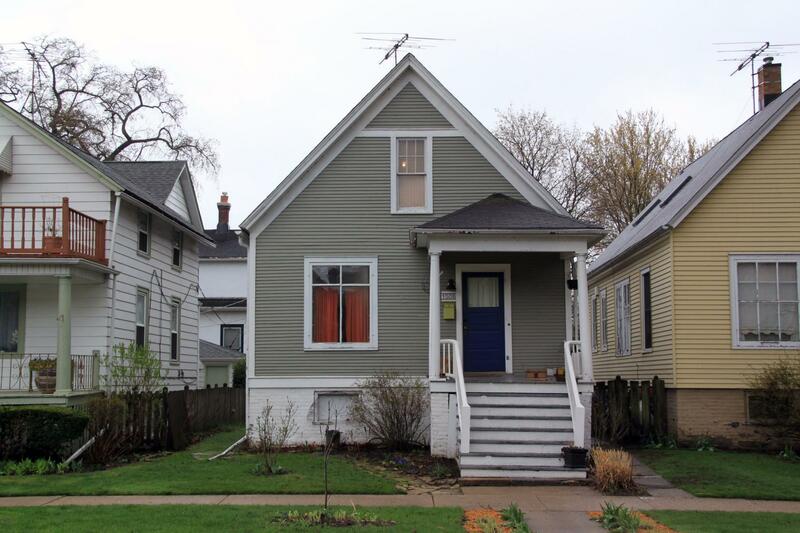 Built as one of three identical structures at 1506, 1508, 1510 Greenwood Street, only this cottage and its neighbor at 1510 retain their original integrity. Historic Features: Front gable, entry porch with cylindrical pillars with simple capitals and picket railings, soffit and corner boards, wood water course at foundation. double banding at the second-floor window lintels; raised foundation, first floor is reached by a stairway with its original spindled balustrade gracefully curved to surround the porch. Exterior Alteration Permits: 12FNCE-0035: Fence; 12FNCE-0034: Complete a 4' high x 79' long wd fence rear (N) and side (E) to match existing; 09ROOF-0017: Shingle rf.